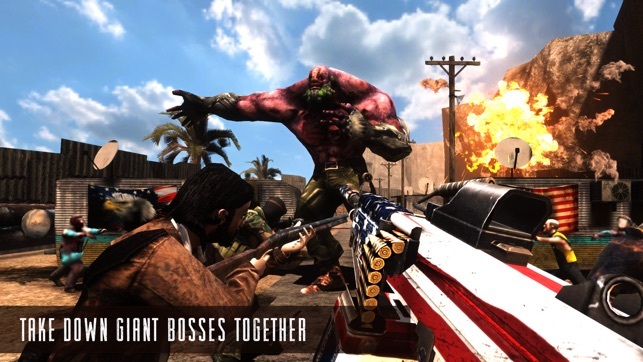 True online multiplayer zombie co op fps for mobile devices! 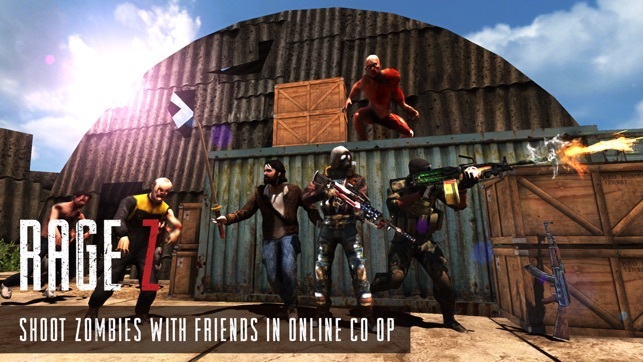 Fight epic online FPS battles with friends or meet new fellow survivors! 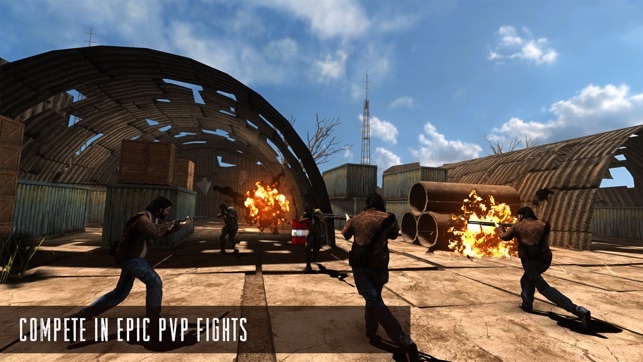 2 online co op multiplayer zombie modes: Zombie Survival and Team Zombie Survival (PvP + PvE), as well as 3 classic PvP (without zombies) modes: Deathmatch, Team Deathmatch and Capture The Flag. 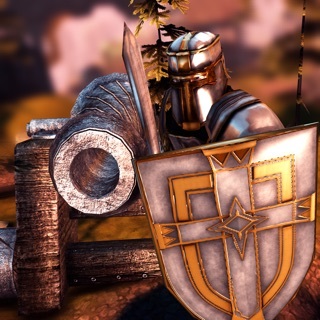 Single player missions available, with different challenges - hone your skill before joining online fights! 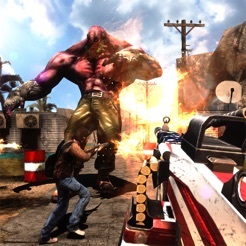 *IMPORTANT* Rage Z requires an iPad 4 (or newer), iPhone 5 (or newer), or iPod touch 5th Generation. A stable Internet connection is required to play. 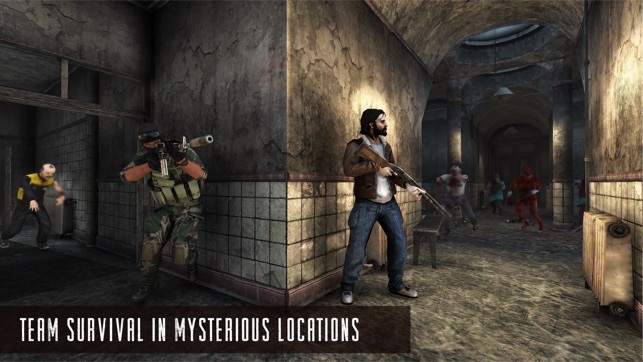 > Classic weapons such as AK47, M4A1, Mossberg 500, Jackhammer, M16A1, G3SG1, M249 and more! 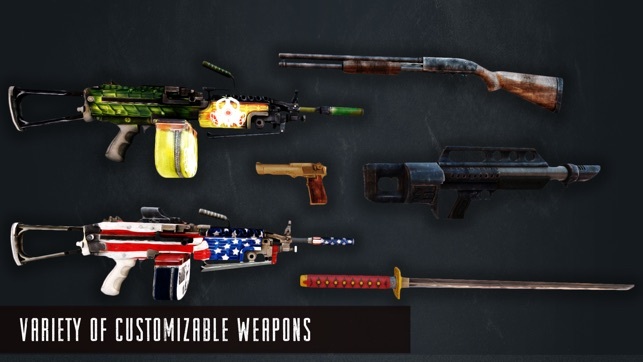 > Slay zombies with melee weapons: Katana, Baseball Bat and more! > Add and find friends, make new ones - friend requests available during online play. Simply tap the person's name, and send friend request! > Customize the look of your character with hats, glasses, masks and more! This is just the first early release, there MUCH more to come! Please like our Facebook page for updates. 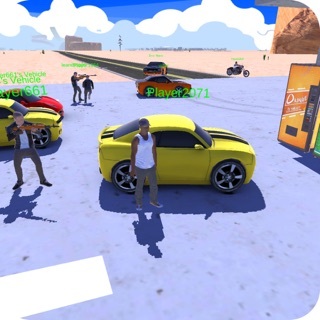 This game allows you to purchase virtual items within the app and may contain third-party advertisements that may redirect you to a third-party site.